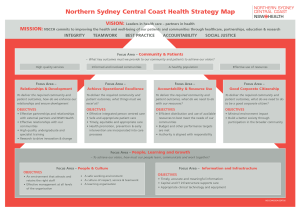 Review: This strategy map is one of the most versatile strategy maps we have discussed so far. It doesn’t follow the base 4 balance 4 scorecards rather it has added perspectives of objectives to achieve an overall mission. It can be seen that objectives are arranged in a pyramidal form with objectives shrinking as we move upwards and only the most critical and basic objectives are left at the top. The final goal is to improve health services. This is an exciting and interesting approach in this strategy map. Opportunities: This strategic map is useful for all sorts of organization who do not have hard and fast rule to follow base 4 balance score card because in this type of strategic map any perspective, in addition to the four standard perspectives can be added. 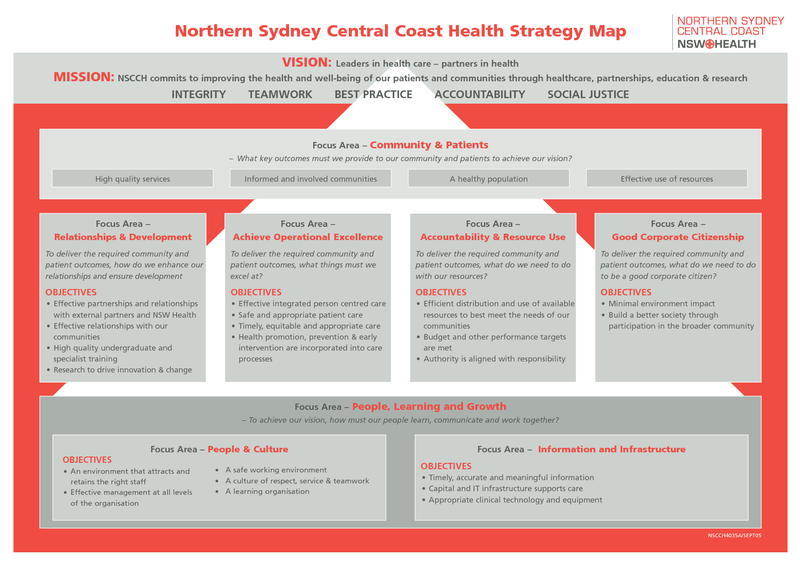 Also the pyramidal structure makes this map suitable for organizations following hierarchical objectives and goals approach. 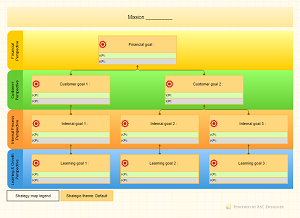 Result: A good example of non-conventional strategy map with variety of perspectives. Well- structured and organized. 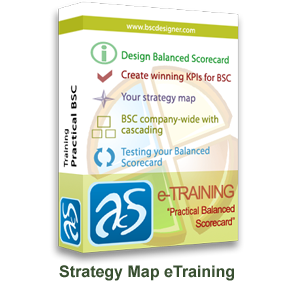 Only drawback is that due to its non-conformity to the standard balance scorecard it might not be easy to comprehend initially. 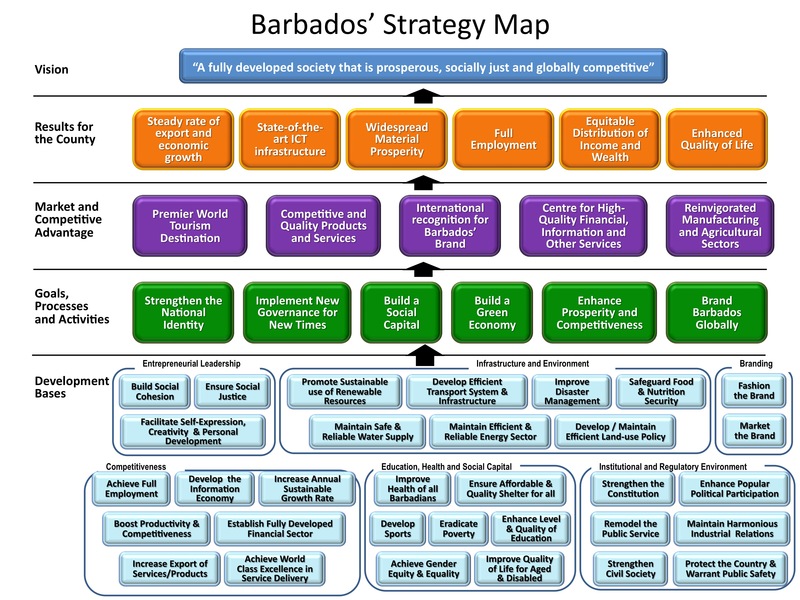 Review: the strategy map created from basic-level aspects up to global strategy. The strategy map doesn’t is not divided into 4 categories specific for the Balanced Scorecard concept, but gives a clear view of how the current state should be transformed into desired vision. The most detailed is basic-level section, which correspond to “Development bases”. Upper levels give understanding about specific processes, actions and desired results. 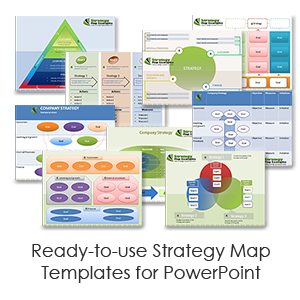 Benefits: well-designed strategy map that implements different level of details on each level, the most detailed is “Development bases”. That level is linked via more global levels with final results and vision. Opportunities: implement links between low level actions and high level goals. 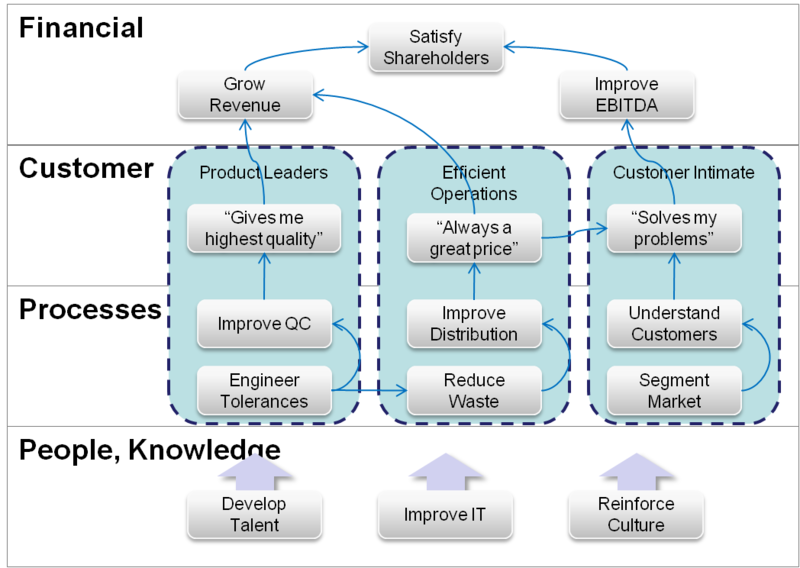 Add in “Development bases” factors required for the future growth and innovations within the strategy. Result: excellent example of the strategy map applicable to the small country as well as to the international business. This entry was posted in Reviews on July 17, 2013 by admin.